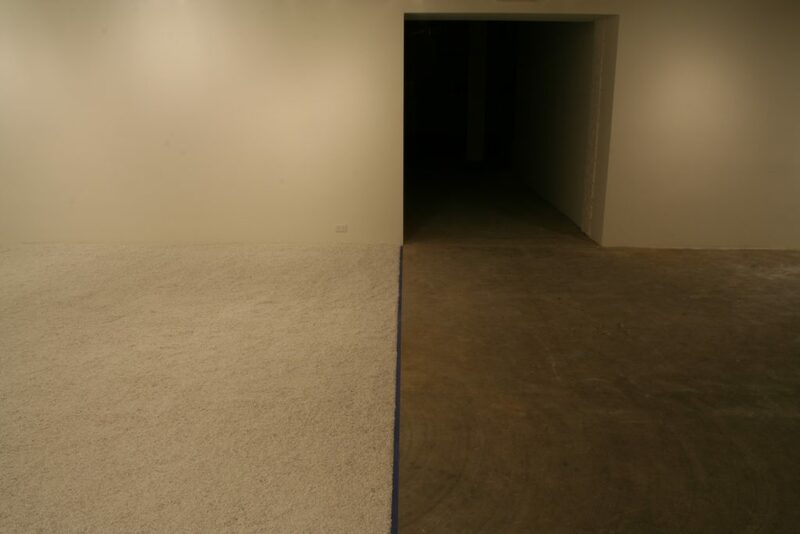 Room Divided is part of the exhibition: Flakey: The Early Works Of Glenn Lewis at Presentation House Gallery. 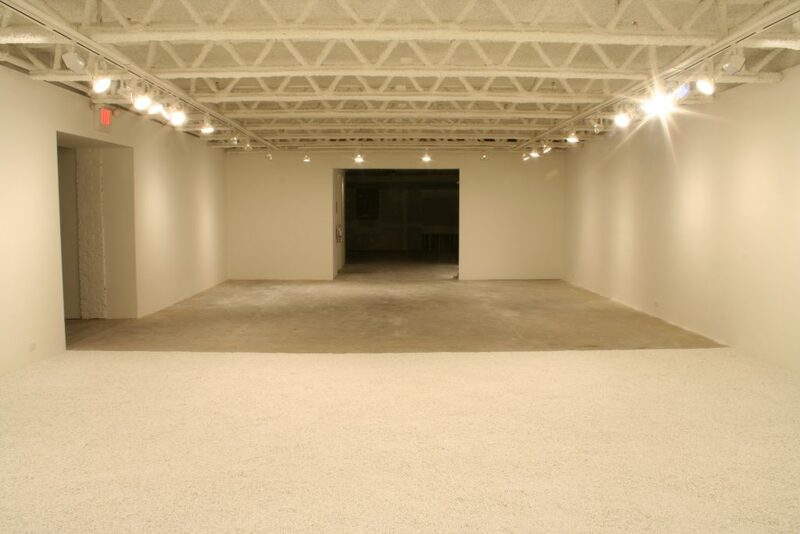 Room Divided (1969) is a spatial alteration of the Satellite Gallery that divides the room in half. The architecture is demarcated by dolomite stones laid on the floor, contained by three walls and defined by a line of blue tape. Using everyday materials, the artist transforms the room through a simple, poetic gesture. 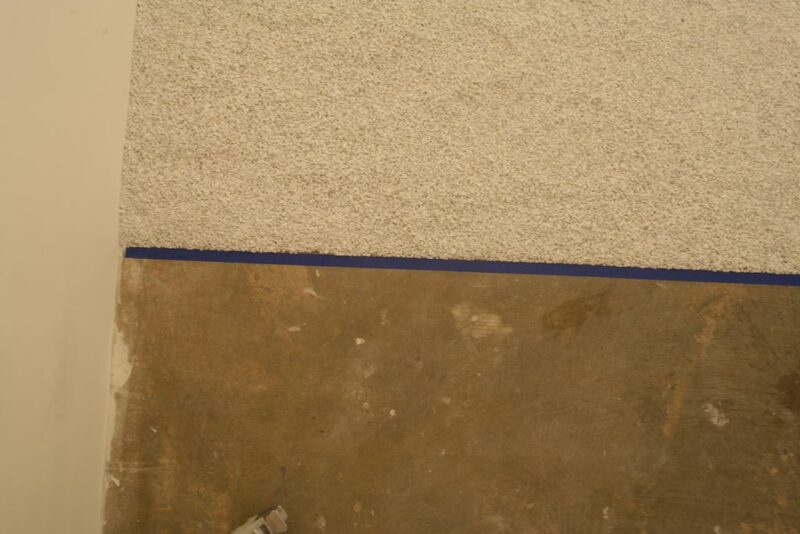 Blue tape appears as a recurring material in Lewis’s early performance works as a reference to land surveying and urban planning, and as a tool for mapping geometric forms in the environment. The choice of dolomite, a versatile regional limestone used as a building material as well as for pottery glazes and as a garden soil sweetener, relates to the artist’s work in ceramics and horticulture. “I have spent time in Japan,” Lewis writes, “studying ceramics and photographing elements of gardens. The installation has a certain resonance with some Zen garden spaces or concepts.” Indeed, there is a sense of tranquility to this meditative space. Typical of contemporary art practices of the late sixties, this artwork calls into question the idea of an art object through a concept that adapts to different situations, changing each time it is realized. In provoking a sensory experience, it also blurs distinctions between art and observer. Room Divided was first created for the Vancouver Art Gallery as part of the 1969 exhibition, Electrical Connection, organized by Intermedia Society, a local creative incubator for multidisciplinary and experimental practices. 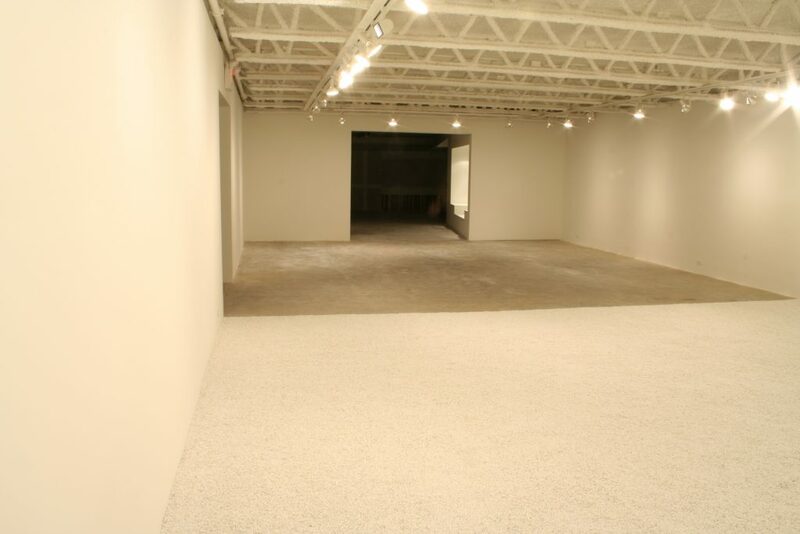 In 2005, it was situated in the Belkin Satellite Gallery (presently the Or Gallery) on Hamilton Street and now, in its third iteration, is a response to the particular architecture of this newly established exhibition space.